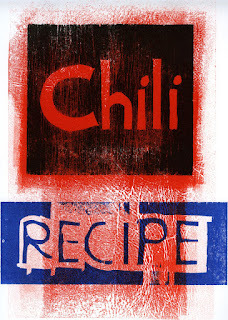 "Making Books, Chilli and Curry"
An illustrated talk on Thursday 5 November, by David Esslemont to The Bewick Society: Newcastle City Library, Charles Avison Building, 33 New Bridge St W, Newcastle upon Tyne, England, at 6.30 p.m.
Monday, 2 November at 5.15 p.m.
" . . . Minutiae are the bread and butter of both bookmaker and bibliographer. A myriad seemingly trivial and mundane details all need careful consideration. I’m interested those details, those decisions that ultimately coalesce into books, books that function, books that are not only a joy to read, but also a delight to all the senses and in Carlyle’s words “excite the reader to self activity”. I’m interested in publishing too, because a book without a reader is worthless, isn’t it? 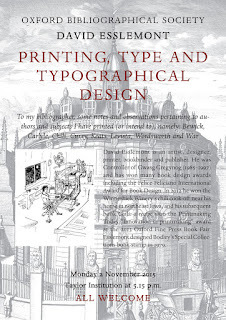 And, like Philip Gaskell I believe the techniques of printing are key to understanding how a text comes into existence. Saturday, 31 October 11am to 6pm, and Sunday, 1 November 10am to 5pm. 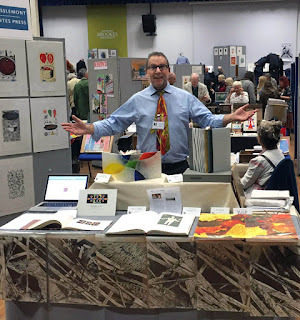 Featuring 98 exhibitors including private presses from the UK, the Americas, Russia, Asia, and continental Europe, as well as dealers in fine press books, suppliers of fine printing materials, and related societies:.